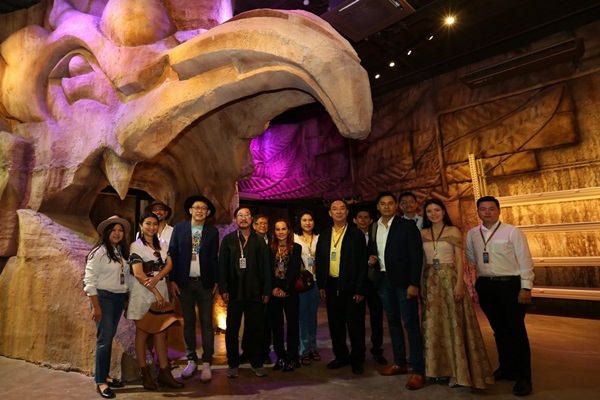 Phuket (February 1 2019) – Central Phuket officially launches the “TRIBHUM : The Mystical Three Worlds”, The World’s First 3D Walkthrough Adventure Theme Park created with world-class advanced technology, on February 1, 2019. Situated on the most strategic location, the theme park is expected to make Phuket stand shoulder to shoulder with other global seaside towns and truly serve as the world’s must-visit destination in Thailand. Miss Wilaiporn Pitimanaaree: Senior Vice President, Central Phuket, disclosed that, “TRIBHUM : The Mystical Three Worlds” is the biggest attraction of Central Phuket that we are highly proud to create as theme park. As our largest mega project, “TRIBHUM : The Mystical Three Worlds” is designed with the “Beyond The Horizon of Fantasy” concept. Stretching across the 10,000-square metre space in front of Floresta Zone of Central Phuket, the theme park offers the most exotic adventure in a mystic territory transpired from a folklore that portrays the grandeur of traditional Thai identity. TRIBHUM was created using an international storytelling approach, blending with modern fantasy for the very first time in the world to achieve as The World’s First 3D Walkthrough Adventure Theme Park. Astonish with the “Garuda Vimana”rendered in a life-like animation of 360-degree Garuda DOME that tells the tale of Garuda and Naga. Get excited on the Crystal Way, the glass path that challenges a brave mind to stride on a 60-metre glass bridge on a thrilling height of 20 metre above the ground to reach the observation point of TRIBHUM. Venture through The Demon Maze. Risk dangers along the route of the amazing maze and discover the exit to flee from the chasing demons. Board the Adventure Cruise. Intrude into the stomach of legendary earth-sized fish. Marvel at the amazing underwater life. Bedazzle with thousands of real fireflies living in the world’s first and only virtual ecosystem. Experience Thailand’s first 4D Flying Theater with an advanced propulsion system that brings the audience to the kingdom of splendid imagination through the 4D Animation on the height of more than 7 metres – a more magical experience than a 3 or 4D movie! Wild Illusion will excite you with a kaleidoscope in a large room that transforms life-like images into unthinkable illusion underneath a massive glass pyramid. Amaze with the Talking Tree that changes your voice into those of TRIBHUM’s magical plants. Blood Flower Cave will make you shiver and flee from starving blood flowers. Experience the Tree of Truth that will put a spell to make you become a TRIBHUM inhabitant in disguise. Amuse with the playful Wa-Na Kampu Monkeys hidden in the shells to guard the Magic Forest at the “Acting as a rock” play to avoid the monkeys’ sharp eyes and enter into TRIBHUM without making other creatures of TRIBHUM aware of your intrusion. Reach the Kinaree Pond to steal a glance at Kinaree, the majestic creature of TRIBHUM that comes down from Silver Mountain once a year to bathe themselves at Kinaree Pond and dissipate magical energy to all other creatures drinking drops of water from the Kinaree Pond. 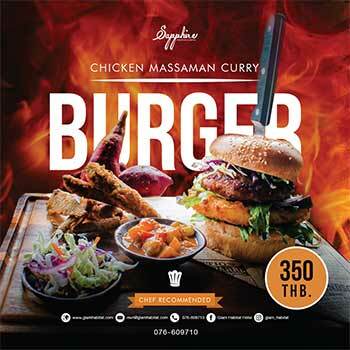 The premise includes facilities, such as restaurants, souvenir shop that features the limited edition of items with TRIBHUM characters and concierge that can cater a large amount of belongings of up to 3,000 Thai and foreign visitors each day. “TRIBHUM :The Mystical Three Worlds”, the World’s First 3D Walkthrough Adventure Theme Park, will open the curtain from 1 February 2019 onwards, during 11:00-20:00 hours (Closed Wednesday). Admission fees are as follows: Adult 1,500 baht, Child (Height 90-120 cm.) 750 baht, Senior (60 years old or above) 750 baht, Children whose height is below 90 cm. and Disable (Disabled ID card required) are free. Prices for special plaything: Silver Glider 500 baht, Adventure Cruise 300 baht.